The World Bank on Friday called on the Niger Government to pay N50 million counterpart fund, as its contribution toward this year’s FADAMA III Additional Financing (AF) project. Dr Adetunji Oredipe, Task Team Leader, World Bank/FGN Mission on FADAMA III AF, made the call during the project’s mid-term review mission to the state. He said that the prompt payment of the counterpart fund would consolidate the achievements recorded by the state in the project implementation. “You have been consistent in paying your counterpart fund but we want you to pay N50 million counterpart fund for 2017 in order to secure the achievements you have recorded so far. He said that the government’s payment of the counterpart fund would show commitment and bring about new areas of intervention. The World Bank official said that the project was intervening in four value chains of rice, tomato, cassava and sorghum in Niger, Anambra, Kogi, Kano, Enugu and Lagos states. He commended the implementation of the project in the state, saying that it was a huge success. “Niger State stands out among the six FADAMA states; you are doing well, FADAMA project is a success here. 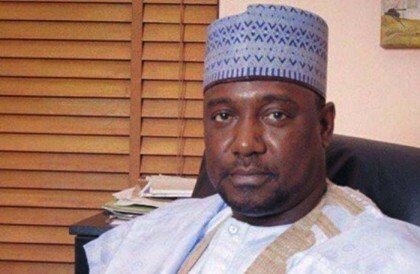 “I am here to see the good things Niger State is doing in FADAMA, so that I can take them to other states because we want to make sure that the project succeeds in Nigeria,’’ he said. Similarly, Mr Tayo Adewumi, National Coordinator of FADAMA, commended the Niger Government for its support. “Foreign visiting missions of the World Bank had commended the success of FADAMA project in Niger State,’’ he said. 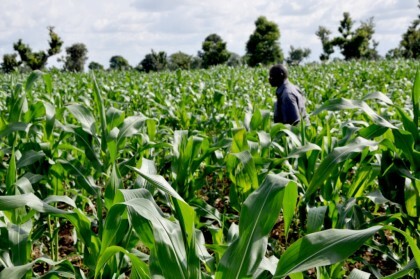 Responding, Alhaji Kabiru Musa, the state Commissioner for Agriculture and Rural Development, said that government was already working toward the payment of the counterpart fund. “We will do everything possible to make sure that FADAMA project succeeds in Niger state,’’ he said. Musa, however, called for intervention in the area of maize and soyabean value chain for human consumption and poultry feeds. The News Agency of Nigeria (NAN) reports that the FADAMA III AF, which began in 2014, is initially expected to end in December 2017.